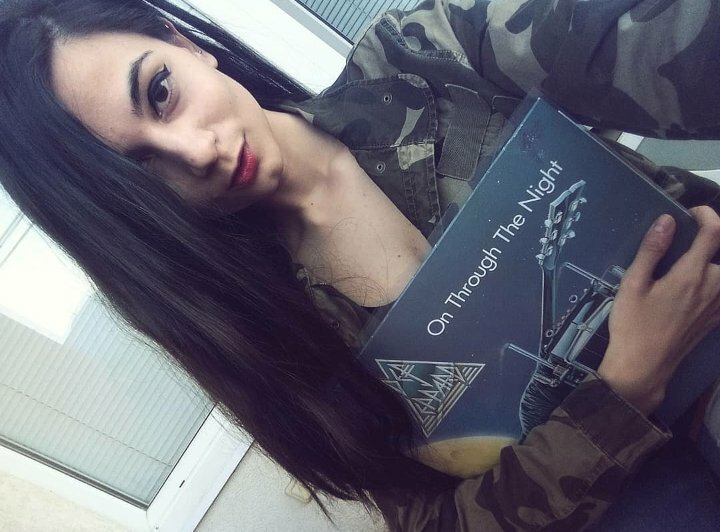 Plenty of my followers and dear rock friends from all over the world responded with various, personally relevant and undoubtedly breathtaking tracks, such as Led Zeppelin‘s “Stairway to Heaven”, Pink Floyd‘s “Comfortably Numb”, AC/DC‘s “Highway to Hell” and more. I was so happy to see that many people sharing their stories, feelings and reasons why they would give anything to experience hearing their favorite song for the first time again. Of course, way before asking my followers, I thought about my personal choices. I’ve been thinking about this for a long time, actually. A song you wish to hear for the very first time and experience that “love at first listen” all over again is not necessarily the same as a “favorite” track, though. We all have hundreds and thousands of songs we LOVE but do you actually remember how you felt or what kind of emotions were flying around the air the first team you heard each and one of them? I don’t think so. Just like me, probably most of you guys can remember the first encounters of only a few songs – those special, world-shattering songs that challenged your entire existence and brought so many mind and body reactions, even…The following five masterpieces are such songs for me – song so captivating that make me wish I could go back in time and recall those beautiful first moments with them…the moments that took my breath away and made me think, “oh, that’s a song I will love and listen till the day I die”. I hope you enjoy my list! Feel free to share your thoughts here or on Twitter! I have never felt a connection so instant and so strong as the one I had when I first heard those opening riffs. I didn’t know about the long and painful story behind the song and of course, that famous love triangle but I could feel that there’s just so much going on…”Layla” is not just your regular romantic tune; it’s a 7-minute long epic ballad that features two highly impressive parts – a speedy blues-oriented assemble, followed by a gentler piano and side guitar instrumental. I was young but I could truly understand why “Layla” is referred to as one of the most important songs rock songs of the ‘70s and Eric Clapton’s most outstanding work. For me, it all started with “Layla”; I needed to hear it just once to know that Eric Clapton will become a huge part of my life…Years later, I cannot even imagine my life without his music. My progressive rock journey started with ELP and in particular the song “Still…You Turn Me On”. I will always remember how immensely captivated I was by the bizarre, but gorgeous instrumentation, stunning lyrics and of course, Greg Lake’s vocals that just sent me to another dimension. I felt so attracted to this song; my body, my mind instantly reacted and by the time I knew it, I was already listening to their entire discography. ELP opened a new chapter of my life and for that I will always love them. “More Than a Feeling” is probably the main reason why Boston and their debut record became one of the most popular rock acts of the late 70s. Each and every second of this song was designed to instantaneously crawl under your skin, inject its blessing and leave you in a state of trance. I wasn’t an exception. This song was never just an opening track to a classic rock record from many many years ago. “More Than A Feeling” turned into my ultimate relaxation outlet and a way for me to experience sweet comfort right from the very second I heard those guitars. I guess Brad Delp’s killer vocals, relentlessly playing with your senses were another reason why this song grabbed me right form the beginning.